Under the direction of chiropractic sports physician Michael Herb, Absolute Wellness Center offers many different services to help you recover from an injury received in a car accident, including chiropractic medicine, physical rehabilitation, acupuncture, and massage. Many people delay treatment after an auto accident, sometimes because they are shaken up and overwhelmed after an accident, and other times because their symptoms are delayed or hidden by shock and adrenaline for a few days. It is imperative you get an accurate diagnosis and proper care after your car accident injury so that you can begin to fully heal as rapidly as possible. Helping you to avoid long term pain and dysfunction is what we do best. 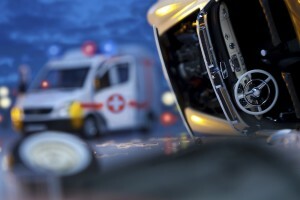 There are several different methods of dealing with car accident injury. Normally with a car accident injury, jarring of the spine and soft tissue injury has occurred. 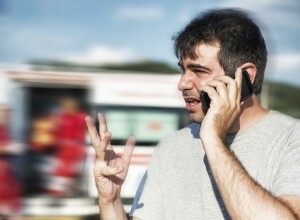 People sometimes think they are fine after an auto accident, but several days or even weeks later people find their symptoms have not resolved or they are starting to experience new symptoms. The services offered at Absolute Wellness Center, after appropriate diagnosis by one of our physicians or your primary care physician, may be necessary to help you heal appropriately. Even if you don’t feel any pain or discomfort following an accident, it is usually best to be checked by a physician to assess any physical injury. Normally when you visit our clinic, you first discuss the injury with one of our chiropractic physicians, Dr. Michael Herb and Dr. Brandon Beckerman, who will then determine if one of our services, such as chiropractic care, physical rehabilitation, massage therapy, acupuncture, or another treatment is appropriate and/or the ideal choice to help you recover and prevent future problems. In some cases, a physical rehabilitation program is a good treatment option. An advantage offered by Absolute Wellness Center is that Dr. Herb and Dr. Beckerman work very closely with our rehabilitation team. Both chiropractic medicine and physical rehabilitation can help address the injury itself, instead of covering up the symptoms of a condition that should be addressed before it becomes chronic and the patient suffers needlessly. Physical rehabilitation can repair and strengthen the damaged tissue and help you avoid excessive scar tissue growth. Treatment often begins within the first week after the accident to control pain and diminish swelling. The treatments will then expand over time to help you return to full function. You will learn the skills and exercises to continue your healing at home, and prevent future injuries, so you can get back to doing what you love. 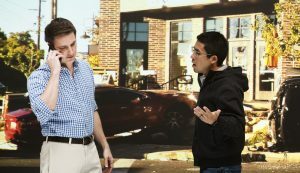 Dr. Michael Herb and Dr. Brandon Beckerman are experienced doctors who can provide the professional care that patients need following a car accident injury. This type of injury can be very deceptive, appearing less severe than it may truly be, so it’s important you have someone experienced in treating and preventing spinal problems, back pain, neck pain, and soft tissue injuries to examine you as soon as possible following your injury. If you have questions about whether chiropractic care, physical rehabilitation, massage, or acupuncture would be medically appropriate for you after an auto accident, please don’t hesitate to schedule your initial evaluation at 541-484-5777 or click here to schedule an appointment.